Yeow Meng Thum joined NWEA in 2008 after teaching graduate courses on statistical methodology and assessments in the Graduate School of Education and Informative Studies at the University of California at Los Angeles and the College of Education at Michigan State University. 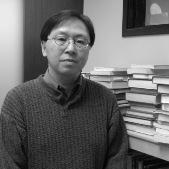 His theoretical interests include topics in educational and psychological measurement, statistical techniques for making causal inferences of educational effects, and problems in the use of meta-analysis. He specializes in studying the use of testing results to help address public educational policy questions, with an emphasis on Bayesian methods for formulating indicators of school performance based on individual student achievement. Yeow Meng holds a Ph.D. from the University of Chicago and an A.B. in Psychology from Columbia University.